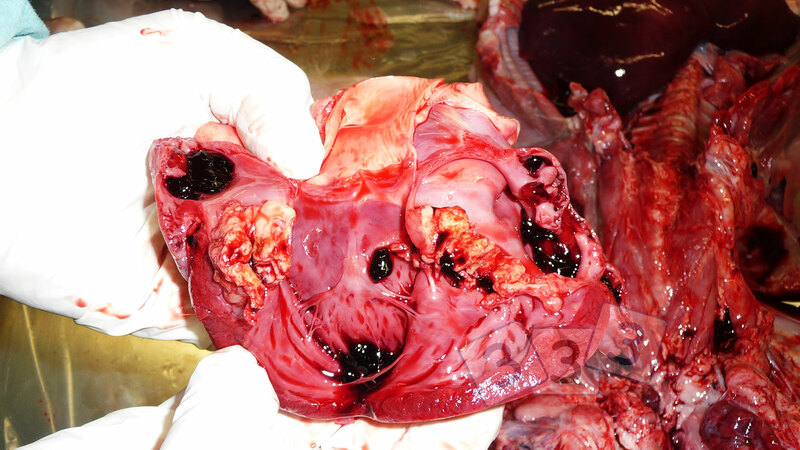 Endocarditis is defined as an inflammation of the cardiac endocardium. The infection can affect the valves (valvular endocarditis) and then spread to the heart wall (mural endocarditis). It is usually a result of a bacteraemia or pyaemia. The most commonly associated organisms isolated are Streptococcus suis and Erysipelothrix rhusiopathiae. Erysipelothrix rhusiopathiae was isolated in this case.